By day, Erik Greenawalt is a CPA (the boring debits and credits type) working in corporate finance for a large Pittsburgh-based grocery chain. 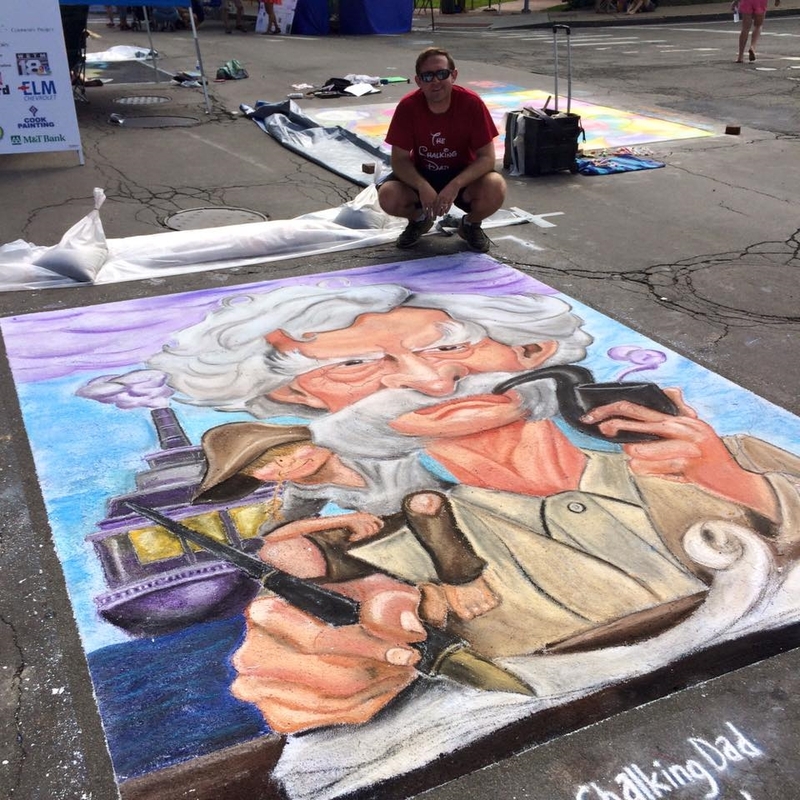 But on weekends, he puts on his other CPA hat – Chalk Pavement Artist – and adds life to driveways, streets and sidewalks from New York to Florida. Erik’s interest in chalk art began about a decade ago when doodling in the driveway with his then-toddlers, Jaycie and Jenna. The two young art directors were very demanding and wanted more and more elaborate pieces from their dad. Crude stick figures began morphing into more-sophisticated Disney princesses and, last year, 3D renderings of Olaf and Emmet the Lego Man. He became known in the neighborhood as “The Chalking Dad” – and the name has stuck.